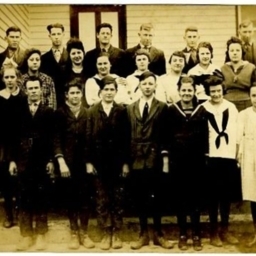 Mabel Runion spent most of her life in the Lantz Mill’s community. 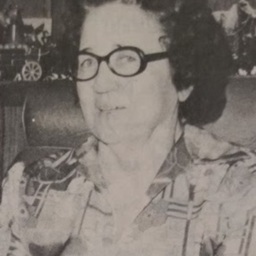 Her and her husband Peter moved there in 1938 after living for a few years in the Fairview Community. 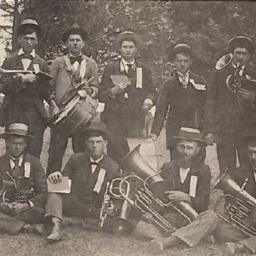 Row 1: Oscar Coffelt, Frank Fadeley, Sam Daleley, William Cook. 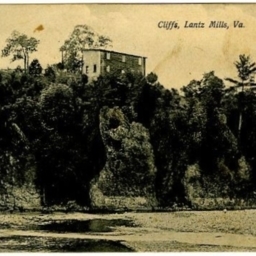 Postcard with a photograph of the cliffs at Lantz Mills located near Edinburg Virginia. 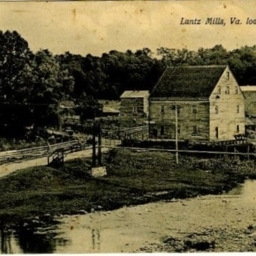 Postcard with a picture of the Lantz Mills area and description of its history. 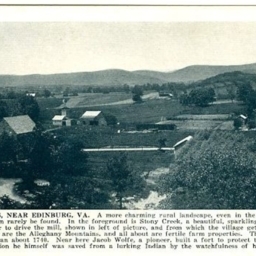 Postcard with a picture of several structures in the Lantz Mills community west of Edinburg Virginia. 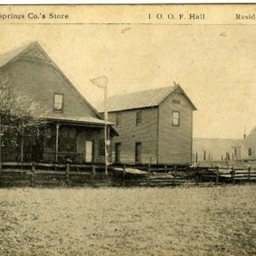 The buildings pictured include the Cedar Springs Company's Store, the Independent Order of Odd Fellows Hall, and J.W. 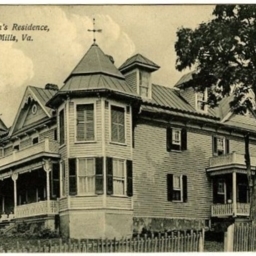 Lantz's residence. 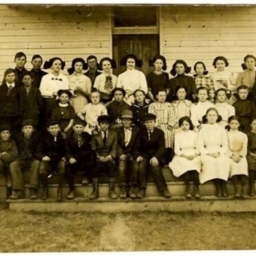 Postcard showing a picture the Lantz Mills community located west of Edinburg. 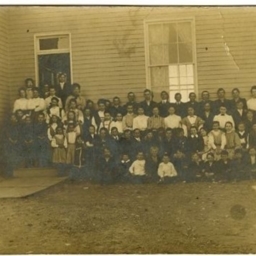 The mill is in the foreground. 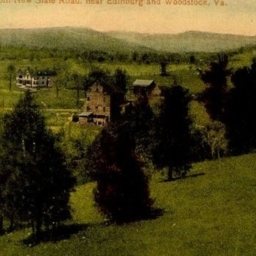 Lantz Mills from New State Road, near Edinburg and Woodstock, Va.
Colorized photograph with a picture of the Lantz Mills community taken from what is now Stoney Creek Road. 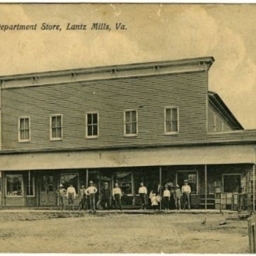 Clem's Department Store, Lantz Mills, Va.
Postcard with a picture of Clem's Department store which was located in Lantz Mills near Edinburg in Shenandoah County VA.
E.M. Clem's Residence, Lantz Mills, Va.
Postcard with a picture of E.M. Clem's Residence in Lantz Mills located west of Edinburg in Shenandoah County Virginia. 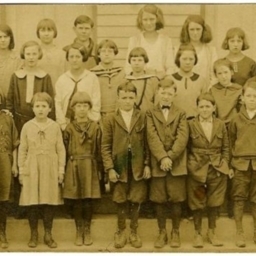 Postcard with an unlabeled photograph showing a school picture at Lantz Mills. 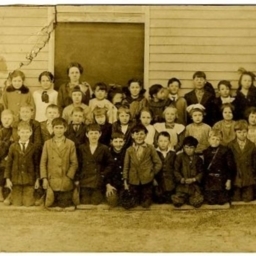 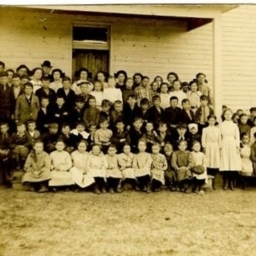 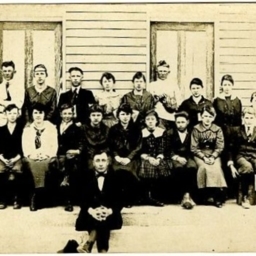 Postcard showing an unlabeled photograph of school children and their teacher at the Lantz Mills School. 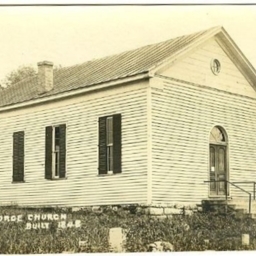 Postcard with a picture of the Union Forge Church located near Lantz Mills and Edinburg Virginia.